New trophies added for each DLC pack available. 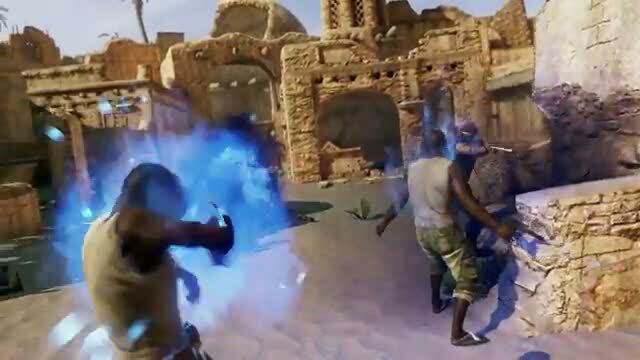 Naughty Dog has unveiled the "massive" Uncharted 3 patch 1.13, due out 14th August. It includes a new system, fresh DLC and gameplay fixes, the studio's Eric Monacelli wrote on the Naughty Dog website. The gameplay fixes include the addition of new trophies for each DLC pack. Increased recoil has been added to the G-MAL. Deathmatch will now appear in round 5 instead of round 3 in Team Objective game modes. Quitting out of Co-op will no longer count as a Competitive loss when signing-out/disconnecting. Lab games no longer count towards the Leaderboard. Death from Above medal now requires the player to be at least 2 meters off the ground. Players can earn more than 1 "Here, Hold This Medal" in a match. A collection of trophies have been added for each DLC pack available. The TAU Sniper Pistol has been tuned so the rate of fire is up 30% and its starting ammo is now 8 not 12. The M9 blindfire accuracy has been reduced by 10% efficiency. Cloaked level 3 is now immune to the effects of Disruption (it wasn't working properly so we fixed it). Monacelli said these fixes are "the tip of iceberg", and promised to discuss others, as well as the mystery new system and DLC, in the near future.